Boiled eggs are a wonderful source of protein for kids, and are the perfect thing for a school lunch box or a fast and easy breakfast. Whether you're making a batch of hard-boiled eggs for a quick and healthy breakfast, lunch box, or snack, a picnic basket or to decorate for Easter or another special occasion, here are some important food safety tips to keep in mind. Do not keep boiled eggs unrefrigerated for more than two hours. Do not keep eggs for more than a week. Boiled eggs only last one week in the refrigerator. Raw eggs, on the other hand, can stay fresh in the refrigerator for as many as three to five weeks, depending on the expiration date on the carton. 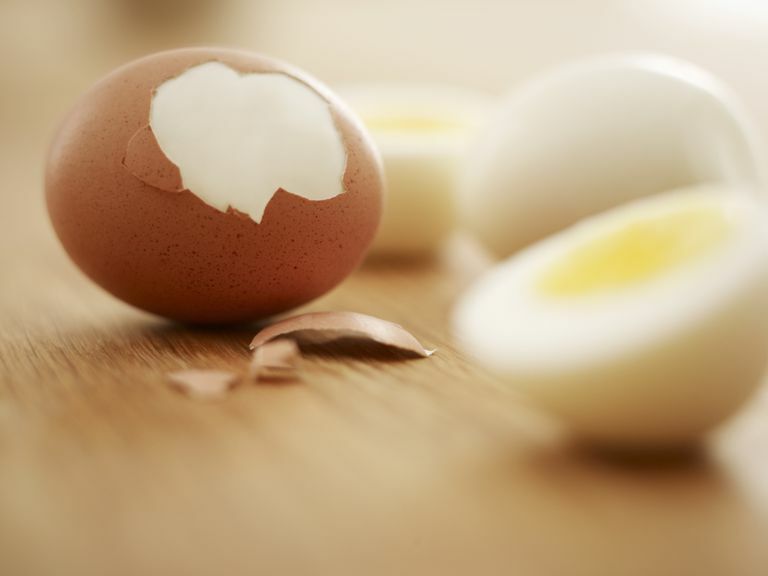 If you detect an unpleasant odor from an egg, whether it's raw or cooked, throw it out. Do not worry about the greenish tinge between the cooked yolk and egg white; that's an indication that the egg was overcooked and the sulfur and iron in the yolk reacted to the egg white. If you have any questions about egg safety, go to Foodsafety.gov's Eggs and Egg Products fact page. When packing boiled eggs for lunch, be sure to use a frozen ice pack in an insulated lunch box or lunch sack to keep the eggs cold. (The U.S. Department of Agriculture (USDA) recommends using at least two colds packs in a kids' lunch box for optimal safety.) Put the eggs right next to the frozen packs to keep them as cold as possible. If you are using hard-boiled eggs for decorating Easter eggs and are planning to eat them, be sure to use food-safe coloring and refrigerate the eggs within two hours after boiling. If you are using boiled eggs for Easter games, such as an egg hunt, be sure not to eat any eggs that have cracked shells. Boiled eggs are a terrific source of protein and are a great choice for kids' healthy snacks and lunches at any time of the year. And they're a wonderful addition to breakfast on busy weekday mornings (just boil a batch the night before to eat during the school week). School-age children, in particular, can benefit from a good balance of protein and healthy carbs, so boiled eggs can be a great addition to healthy and brain-boosting breakfasts on busy mornings. And if your child does after-school activities, whether it's soccer, dance, or music, packing some easily portable snacks such as boiled eggs, some string cheese, and grapes can be a great way to tide them over until dinnertime. By following some basic safety tips, you can incorporate boiled eggs into a healthy diet for yourself and for your kids. Should You Let Your Kids Eat Eggs on a Daily Basis?